Super par 4 which meanders gently from left to right, before descending to a large two tiered green. 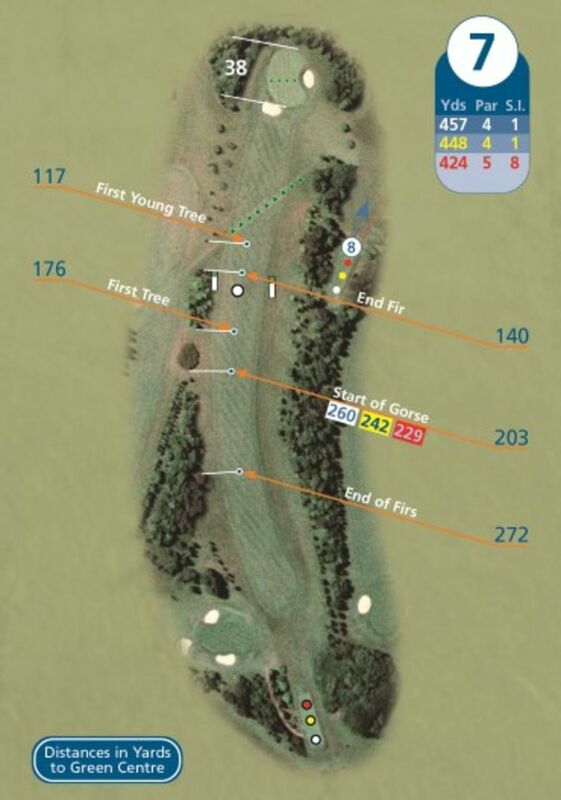 For any longer hitters who avoid the gorse and the trees, the tricky green and two large bunkers can scupper a par. For the normal golfer, perhaps playing the hole in three shots to the green is more realistic and likely to be less fraught.